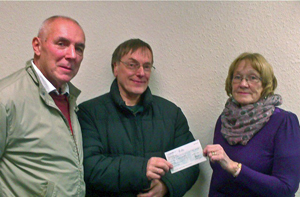 Members decided on four donations from our community fund in 2013. £200 each for Wivey Link and for goal posts on the recreation ground. £50 each towards kit for Wiveliscombe RFC junior section and Practical Action for solar pumps in Kenya. Shareholders have also been paid 4%.